We’re pleased to share that we launched in New York today. 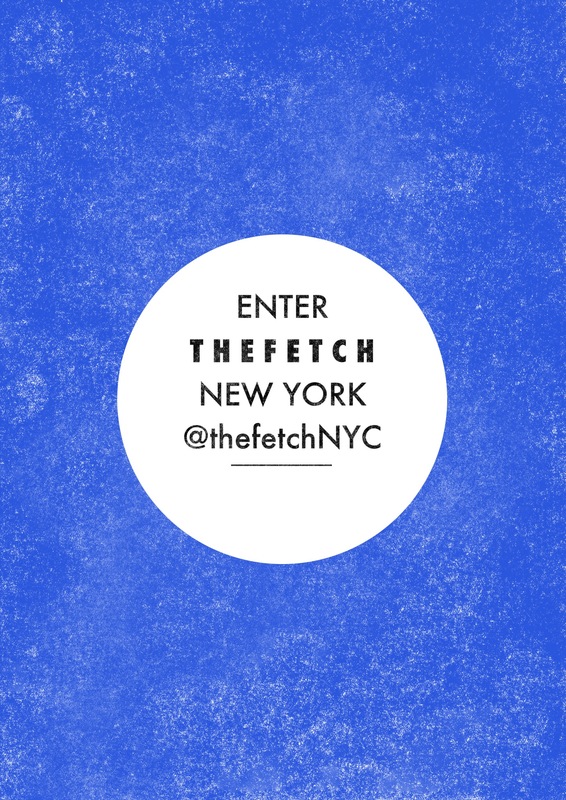 Check out our first issue: http://thefetch.com/new-york/2013-06-03 and follow the city accounts on Twitter // Facebook. The Fetch focuses on solving professional event discovery. Its beta is a weekly email digest that curates what’s on across 10 cities. It started as a side project out of Melbourne, Australia in 2011 by Kate Kendall, a frequent community organizer who couldn’t find one place to check out what was on. Sick of having 20 different browser tabs open to various event registration sites and subscribing to newsletters for each event, she pulled everything together in a lean minimum viable product using email. Now, a network of global curators [who are amazing!] filters links (sourced direct, via APIs and user-submissions) to deliver high-quality relevant events, articles and cool jobs to subscribers. These email digests have become much loved with readers often writing-in saying they have unsubscribed from everything but The Fetch. The Fetch’s open rates agree and are reimagining industry standards with an average of 46% across-city and 53% click-through on content. The Fetch joins a growing number of companies using an email-first strategy like AngelList, Thrillist and TimeHop. “I chose email as our medium as I think it’s a great way to validate ideas quickly and simply while having a direct relationship with someone,” says Kate. Unlike other city event guides, The Fetch flips the positioning over and covers stuff for your work life – not lifestyle. It’ll let you know about a free public lecture, business conference, creative writing group or tech meetup rather than the latest coffee/food jaunt, music venue and retail place worth visiting. Think of it as career geekiness. An equal mix of city newcomers and long-term residents are using the service, and everyone from the CEOs of leading tech companies to freelancers, agencies, media folk and students are signing up. The Fetch has been making revenue since it launched via ‘self-serve’ sponsored content and text-based advertising. Most of the customers (who tend to be recruiters, event managers and tech providers) are repeat bookers, featuring their events, jobs and services each week. Organizers are selling out their events via The Fetch so are proactive in submitting events directly, which helps with the comprehensiveness of curation. Kate says it’s great to see the demand for reaching The Fetch’s community, and struggles to get back to customers quick enough. She plans to trial pro-accounts and a subscription model in the future after further product development. For now, the site has been bootstrapped to date with the team about to follow up some investment offers to help scale. The next stage of growth will be around mobile and responding to the 30 or so curators around the world waiting to unlock The Fetch in their city. Chris McCann the cofounder of StartupDigest (and champion of The Email Mafia) joins as an advisor. THEFETCH Inc was founded in 2013. Great to see The Fetch flourishing, Kate! Several years ago I thought there was a gap in the provision of this professional/targeted event information in Brisbane, Australia. I think you are going a long way towards filling that gap!